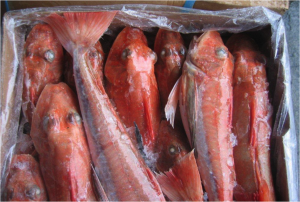 Red Gurnard (Chelidonichthys kumu) | Wildfish Export Ltd. Description: Red Gurnard belong to the Triglidae family. 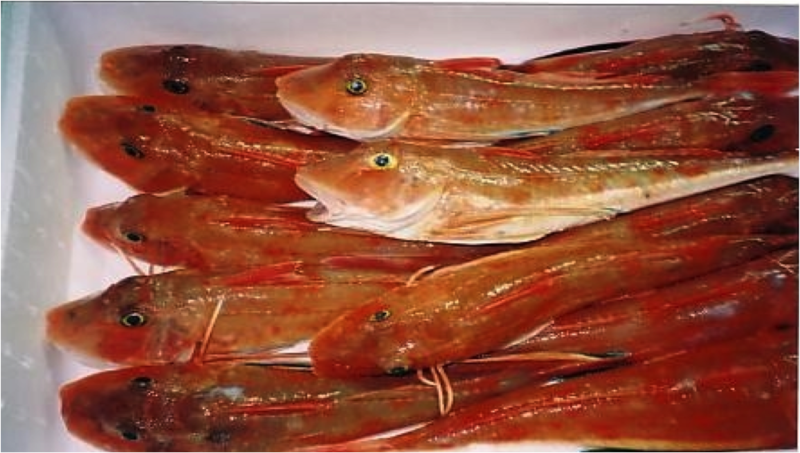 Their body is Orange to red above and white below. The pectoral fins are big, bluish-green in colour with one large, dark spot and several small white or blue spots and a blue margin. The head is bony, and the scales are small. Size: whole – 20 – 30cm, with Fillets range from 100g + Meat Quality: Red Gurnard has firm fillets that hold their shape when cooked. They have a low oil content.